Give your kitchen a stylish overhaul with this Alpine Cube Hi-Rise Kitchen Mixer. If you fancy sleek geometric designs, you will love this mixer. 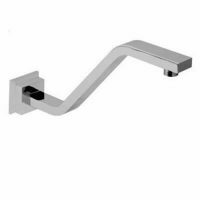 Featuring an ergonomic design with an easy-to-use solid lever, this mixer is indeed a highly practical piece of tapware. Its elegant chrome finish offers ultra-modern looks that will lift the design of any kitchen in minutes. The Alpine Cube Hi-Rise Kitchen Mixer features solid brass construction which makes it highly durable. Furthermore, the high-quality ceramic disc cartridges offer precise control over water flow and temperature. 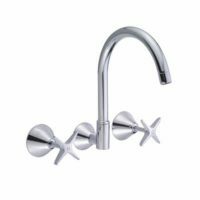 This kitchen mixer is rated as WELS 4 stars and has a water consumption capacity of 6.5 litres per minute. As a Watermark approved product, the Alpine Cube Hi-Rise Kitchen Mixer can be used with hoses for both hot and cold water. 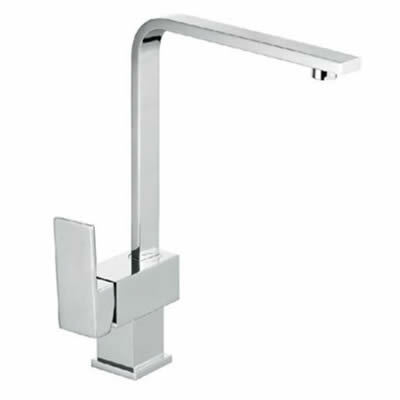 Alpine products are known for their high quality and this kitchen mixer is no different. Alpine offers an impressive 5-year guarantee on the tap body, a 2-year guarantee on the cartridge and a 1-year guarantee on the finish. It will easily withstand many years of heavy use. Increase the functionality and charm of your kitchen in minutes with this fashionable Alpine Cube Kitchen Mixer. A superior product for the budget conscious – buy this product today, only at Ross’s Discount Home Centre!